The motors of pumps and fans represent an important item of energy consumption in the building design. The use of the variable speed drives is not any more to show, their capacity to control the speed of the engines offers substantial profits of energy. A pump for example, needs only 20% of power to run at 60% of its speed. Beyond these advantages, the variable speed drives offer other possibilities of economies, in particular at the time of the building design and building maintenance. The majority of the drives are able to provide information of current, voltage, power and energy (kWh) consumed by the motor, either on local display or remotely by connection on a communication bus. In all the cases where a precise counting is not necessary, it is possible to make the saving in separate sensors. The yield of a motor is about 95% with its nominal load. It drops when the load decreases because part of these losses is constant: control supply, internal ventilation of the drive. This phenomenon is mainly compensated by the reduction in the losses of commutation which are related to the output current of the drive. Moreover for small drives (few kw), the power consumed by the auxiliaries is perfectly negligible. Consequently, the power consumed by the motor gives a good indication of total consumption and the precision about a few % is sufficient in the majority of the cases. The variable speed drives show another interesting characteristic. It comprises, on the network side, a rectifying bridge followed by condensers filtering which smooth the voltage and correct in more the power-factor. A motor having a cos φ of 0.8 will be seen, upstream the drive, with a cos φ near to 1. The fact that the power grows like the cube speed offers interesting possibilities of detection, the measurement of this parameter makes it possible to identify anomalies which would be not very visible by the speed measurement alone. 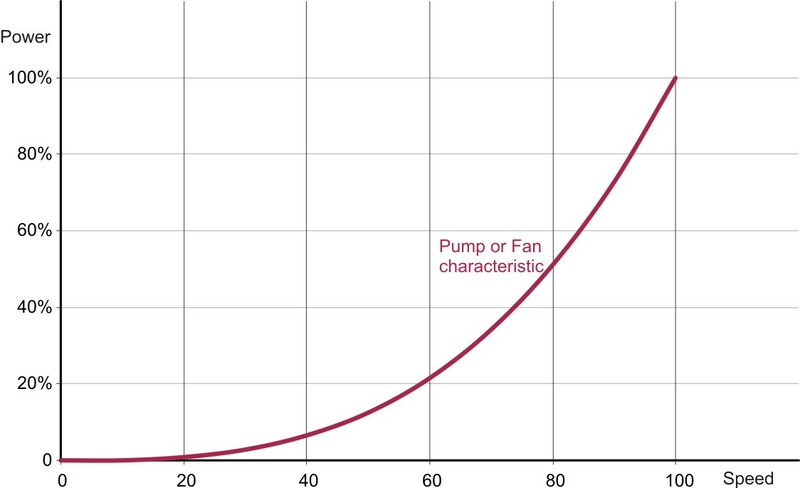 By supervising the histogram of the power according to time it will be possible to detect a clogging of pump or a clogging of dirtying of ventilation. It will be enough to parameterize a threshold of detection to trip an alarm making it possible to carry out a maintenance action. or copy this trackback: http://engineering.electrical-equipment.org/energy-efficiency-motors/cost-effective.html/trackback from your own site. 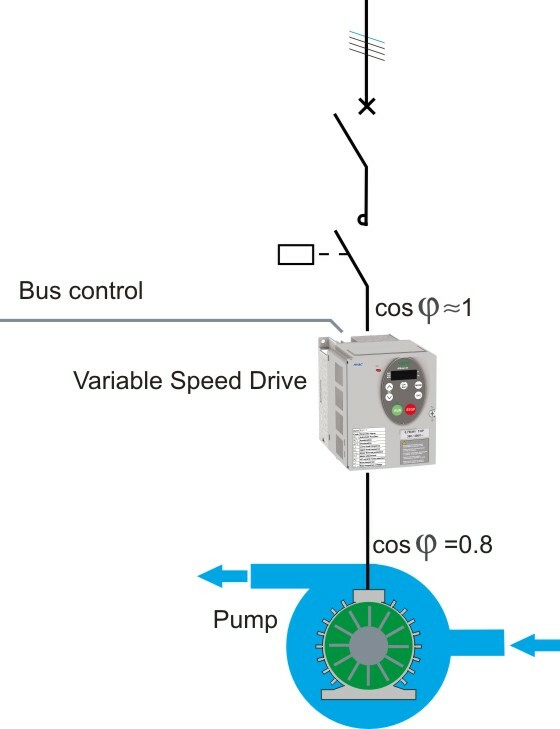 I appreciated the article on variable speed drive as enegy efficiency for pump and fan. Can you post its use in hoisting appication? @olusoji, for hoisting application, it will be more complicated. The main purpose will be precise control for that kind of application. Be careful about using too many drives where you have lots of computers. Drives can cause an imbalance in harmonics and that causes problems for computer systems. I find it interesting your blog, but every application with bomb will be allow energy saving by using variable speed drive, or its applicable only in systems where the flow is strangled? by example the case of fans throughout the dumper. I agree with you. VSD is cost-effective especially for those applications with frequently changed motor speed. Nowadays, the factories of air-conditioning appliances in China are claiming that their products are cost-effective because of varied frequency. :-) You may watched so many ads on TV in China about this. Kindly quote your best price for solar systems VFD+VSD for 1HP, 5HP, 10HP, 15HP motor operation. For pumps and fans, vsd plays a big role for saving energy bill. ” it is possible to make the saving in separate sensors.” Yes. VSD performs different in different cases. One application where the savings potential doesn’t match the capital cost is for fixed displacement machines such as reciprocating piston refrigeration compressors. Due to the fact that the output of the machine and the speed relate to a “Bell Curve” there is only a very small window of speed regulation that offers only marginal savings. Slowing a reciprocating machine down can cause the efficiency and duty to drop off so steeply that you would in actual fact be running the machine at an energy loss. The best solution for this problem is to fit a smaller machine as the lead with capacity regulation solenoids and use that to trim the load. A fully loaded synchronous machine at design conditions is the optimal solution. The only spin off benefit from using a variable speed drive on this type of application is the soft-start of the motor and the inherant power factor correction that the drive gives. Energy saving for fan/pump vfd is the big role to reduce the energy comsumption.In case constant torque application changing the pully 1:1 and using vfd to reduce the speed,what is the calculation factor for torque. The content is usefull. I wish to get ur news letters too. In our apartment, we are having 3 nos. 5 HP submersible pumps are installed for overhead tanks. Which of these pumps is most efficient and which is the worst? @Rajesh Bhiwapurkar, may you explain in more details? The rated current of the motor is 9A? Have you used the drive on those motors? my client is having 150kw SPDP slip ring motor with 24 hrs in operation. its a Oxygen making plant can i install drive to it. Yes. You can install drive to that motor. Yes. I agree. In most application, if correctly applied, variable frequency drive is cost effective. This is really informative material which you shared with us. Can you help me How should we choose an appropriate VFD ? Thank you very much.